ON SALE for $2999 - call us to order! 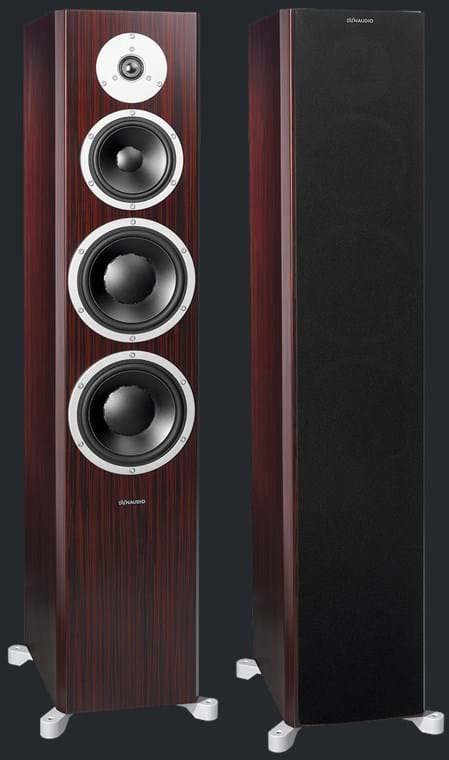 Come hear the X38 in our listening room. Give us a call at 406-285-3910 to arrange a listening session with these fine speakers! The Excite X38’s twin 18cm woofers use our own ultra-lightweight, ultra-rigid Magnesium Silicate Polymer (MSP) material, extraordinarily large 75mm diameter aluminium voice coils with powerful centre-magnet systems, and high-strength die-cast aluminium frames. That’s how the X38 achieves its resounding bass, thrilling dynamics and incredible control. The 14cm midrange driver also uses MSP, ensuring seamless integration with the woofers, while the 28mm tweeter’s coated fabric dome guarantees fine high-frequency detail. With its meticulously selected crossover components and optimised dispersion characteristics, the X38 combines energy and dynamism with a remarkably balanced, three-dimensional portrayal of the recording. The extensively braced cabinet is available in a choice of fine natural wood veneer or satin lacquer finishes, while the removable cloth grille is discretely secured via concealed magnets. It also has integrated outrigger feet: depending on the flooring surface, the X38 can stand on four resonance-absorbing rubber feet or four height-adjustable retractable spikes.